Cabbage is the talk of the town: The old vegetable is being rediscovered and now has a career as a superfood. Because kale, savoy cabbage, kohlrabi, cauliflower & Co. are full of vitamins, minerals, dietary fibres and protective antioxidants. And cabbage can be much more than a side dish for hearty food. 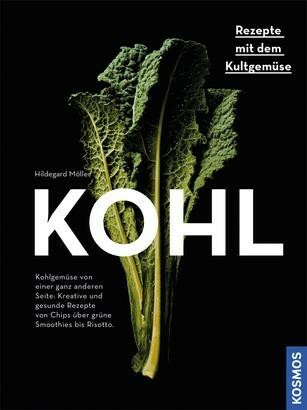 Whether raw as kale and quinoa salad or a green smoothie, as red cabbage pesto for pasta, as a snack in the form of savoy cabbage chips, or as a topping for pizza and tarte flambée: This cookbook presents cabbage from an entirely new, exciting perspective. Hildegard Möllerpassionately cooks and writes. The dietician with many years of experience as a chef has worked as a food journalist for the past several years and has already published several successful cookbooks.